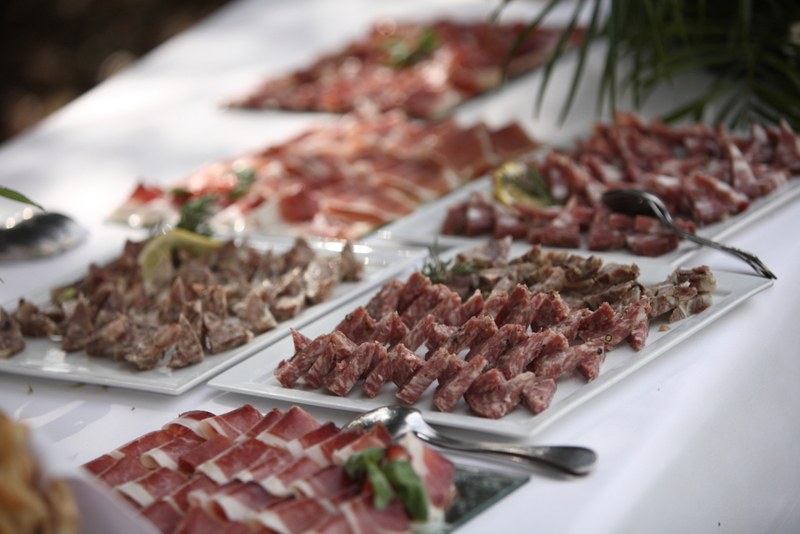 Prosciutto,salame, finocchiona,bresaola…the delicious Tuscan cured meats are the king of the wedding buffet table. In Tuscany the dry ham is not ‘parma ham’, that’s ham from Parma. In Tuscany it is Tuscan ham, prosciutto crudo, or simply prosciutto. 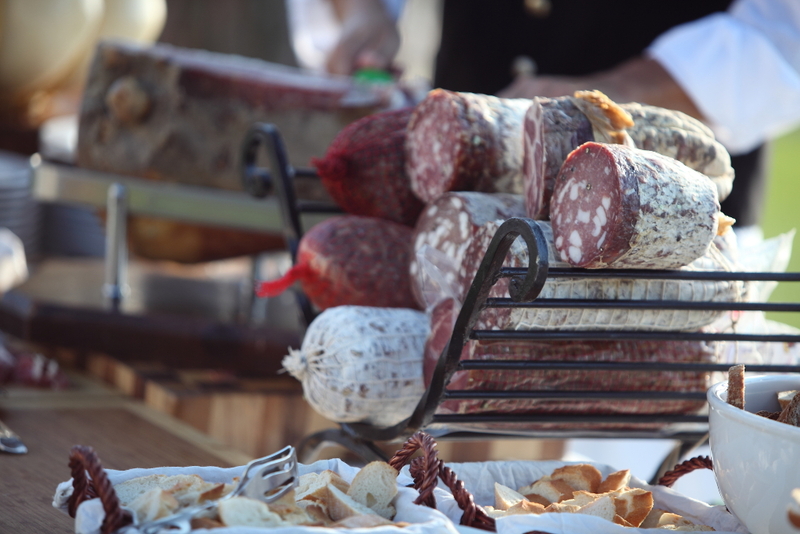 Salame can be found in different variation; ‘salame toscano’ the large form traditional Tuscan salami, ‘salame piccante’ spicy salami with chilli or ‘salame al cinghiale’, salami made of wild boar meat. Finocchiona is similar to a fresh salame. It is large, soft and perfumed with spices. It is filled with Tuscan herbs,. What gives the finocchiona it’s main character and taste is fennel. Bresaola is cured beef. Delicious with ‘rucola‘, arugula salad, parmegiano cheese flakes, fresh olive oil and lemon juice.